Only 4 pieces in stock - In stock for a limited period only. 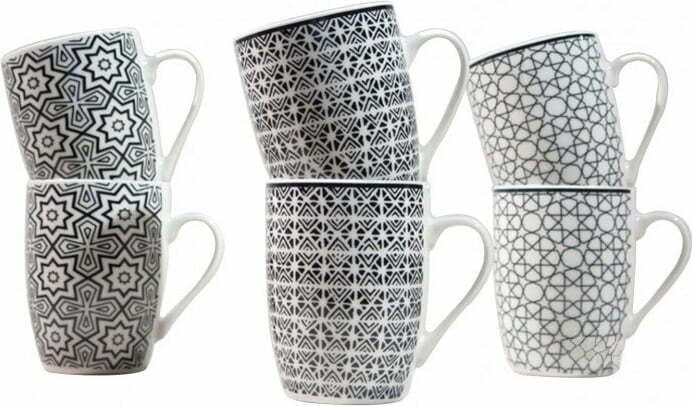 Beautiful coffee mugs set in black and white look. 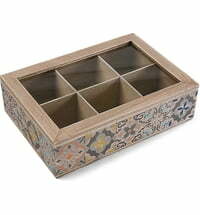 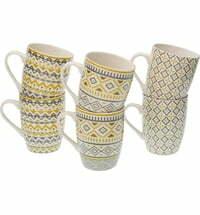 The handles are made of porcelain and, with its great design, are a great addition to your kitchen. 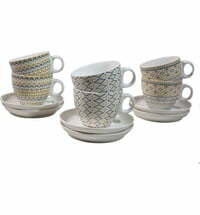 The set consists of 3 x 2 equally patterned coffee cups. 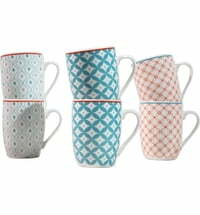 Ideal for the breakfast table and the coffee break! 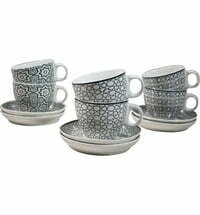 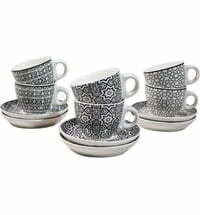 Questions & Answers about Versa Mug Set "BW"
Versa Coffee Cup Set "BW"
Versa Tea Cup Set "GG"
Versa Tea Cup Set "BW"